You’ve taken an awesome photo, and you have a witty caption to boot. You post your masterpiece to adoring followers on Facebook, Instagram and Twitter, close your laptop and walk away. That’s all there is to it, right? Not so fast. How do you know if your content hit the mark? Did it resonate with your audience? Are they even awake right now? If the last time you checked your social metrics is never, or rarely, you’re missing out on the opportunity to understand your audience. You don’t have to be a social media pro, or even incur a fee, to access these analytics. Logged in as an administrator of your page, click on insights in the upper navigation. Logged into your account, click on your profile picture in the upper right hand corner. 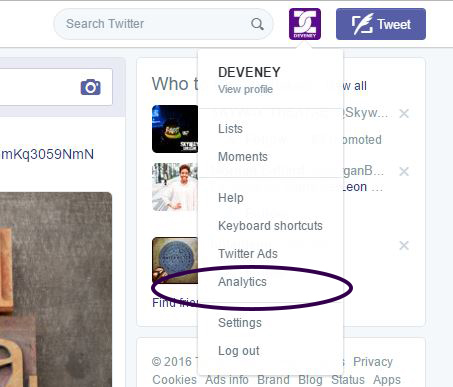 From the drop-down menu, select analytics. Whichever platform you’re on; there’s a lot of data to assess. More than you have the time, or energy, to dive into. So what’s the top priority? Individual Post performance – accessed by Insights > Posts > All posts published. Drill down to the core of analytics. Reach – how many unique individuals saw your content. Several factors can affect this number, including when you posted and how often the content was shared. Engagement – how many reactions, shares, comments and link clicks your content received. Why is this important? Higher numbers show the content resonated with your audience. Additionally, thanks to Facebook’s algorithm, the more engagement you receive the more people your content will reach. Is your reach high but engagement low? Consider making your content more interactive by asking questions or encouraging the audience to share their experience. Did your post accomplish your goal? For example, if you were driving the audience to your website to read a blog, did they actually click on the link? Top tweets – accessed by Analytics > Tweets > Top Tweets. These are your most popular tweets for a given time period. While the large impressions number may catch your eye, that’s not the most important data available. Focus on engagement, which includes link clicks, replies and follows. Are your impressions high but engagement low? This means your posting at a great time, but your content could use a little sprucing. Consider a photo or relevant hashtags. 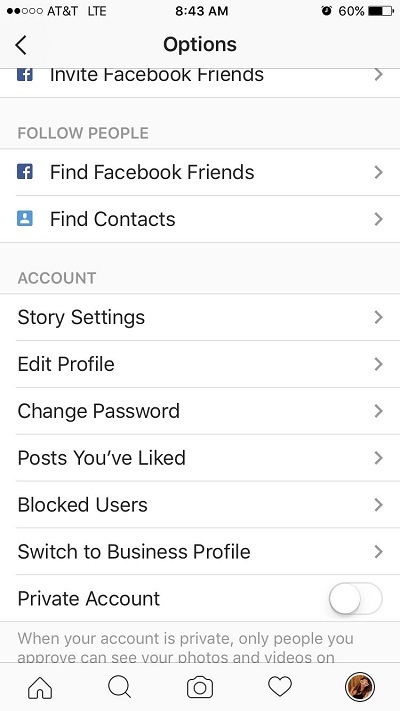 Free Instagram analytics are currently only available on the mobile app. Scroll to an individual post, and click on View Insights on the bottom left hand corner. Reach – similar to Facebook, these are the unique individuals who saw your content. Engagement – Includes likes and comments on posts. Low engagement? Consider putting more time into community management by engaging with your audience through replies or questions. Remember, on social media it’s not about how often you post. It’s about sharing quality, engaging content that your audience wants to see. 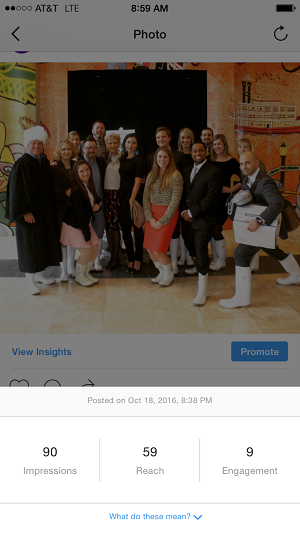 Now that you’re savvy with accessing analytics, use your powers to create repost-worthy content that your audience will love! Still not sure how to use your analytics tools? Tweet us @DEVENEYMKTG with your questions.